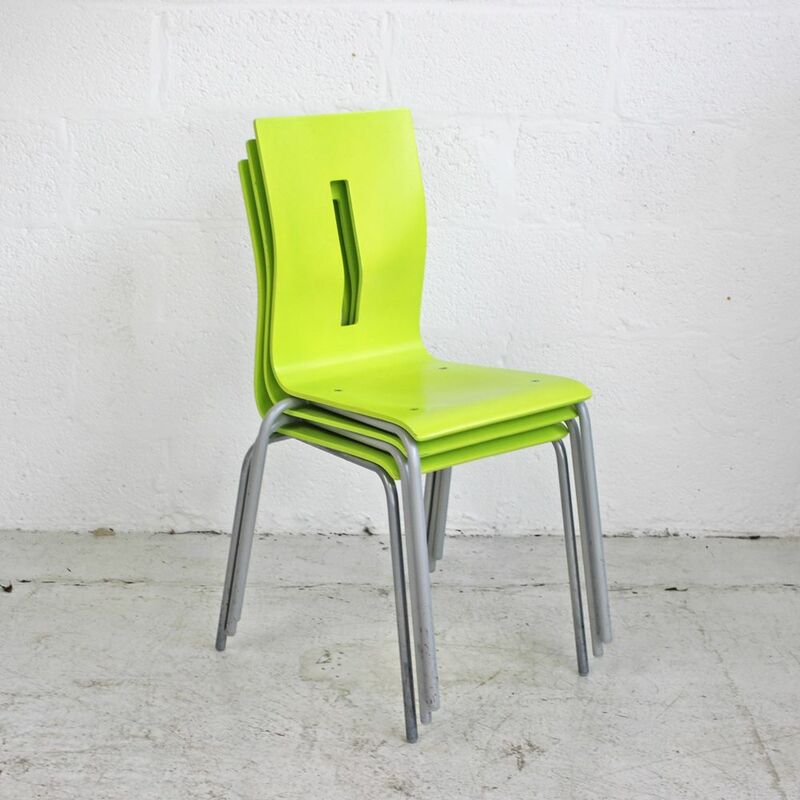 Sitting on a silver four legged frame, these bright canteen chairs could be the perfect addition to inject colour into your canteen, bistro or home dining areas. 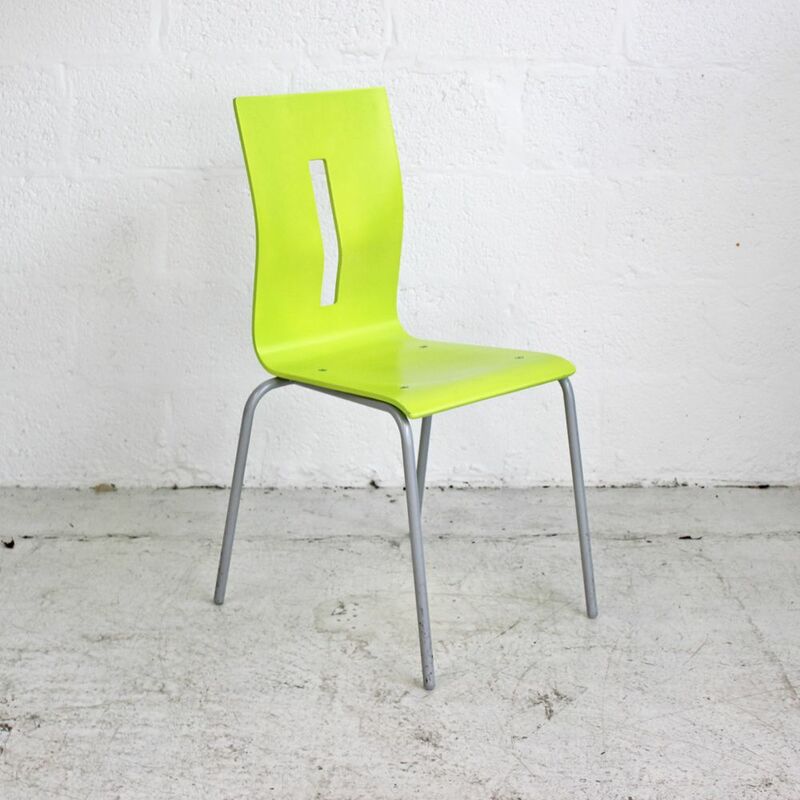 Pair together with their white counterparts for contrasting colours, please see below. 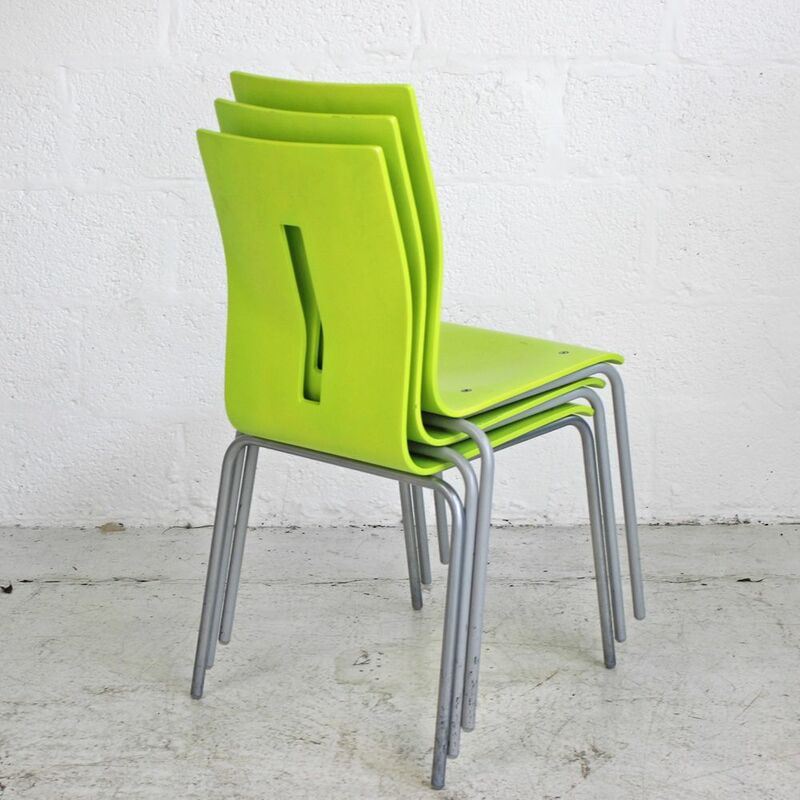 If you're looking for quality used restaurant chairs like this Green Wooden Chair then Barkham Office Furniture is the place to visit. 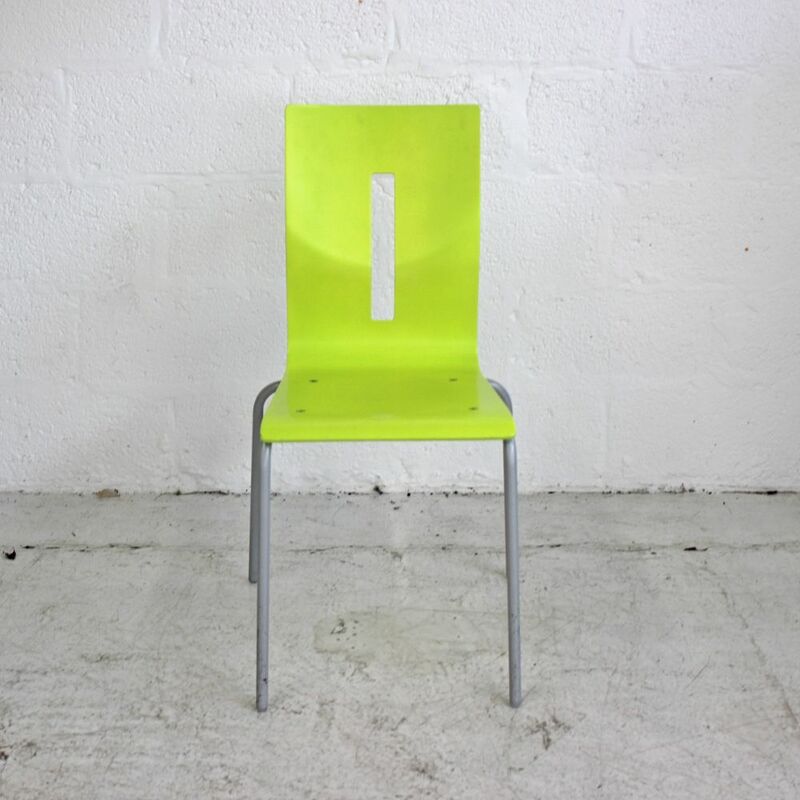 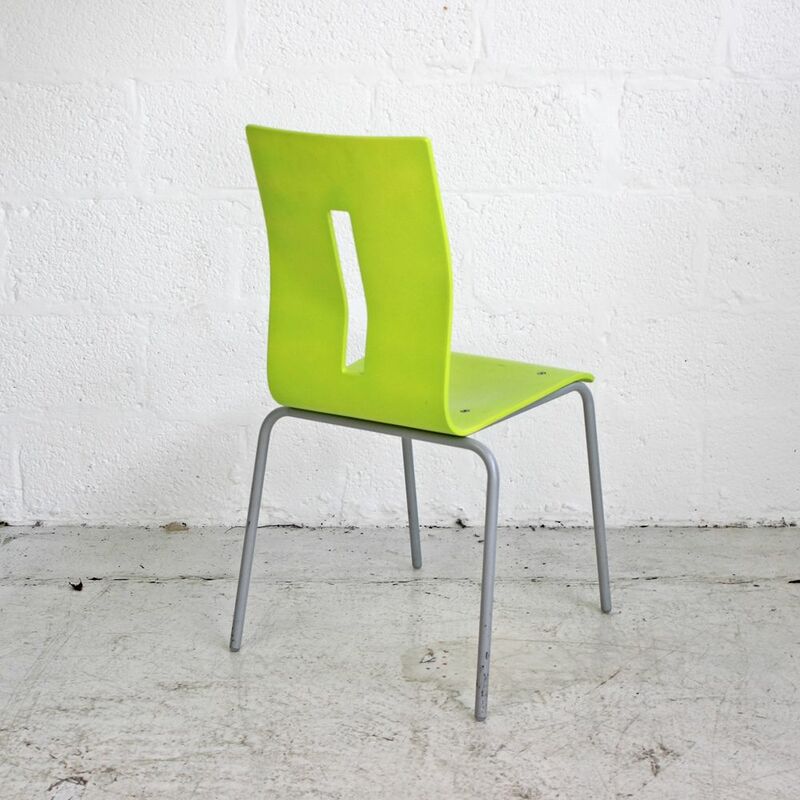 For more information on the Lime Green Chair please don't hesitate to get in touch.